It is rare to find films that capture the human condition, especially those living with a chronic disease. This year, one filmmaker’s vision captures just that. 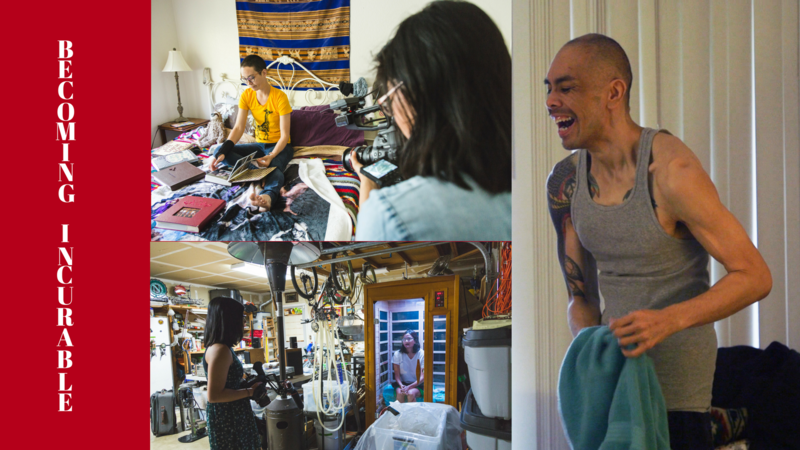 “Becoming Incurable” shows the raw, unfiltered daily lives of chronic disease patients Sofia Webster, Leo Suan and Charis Hill. Filmed and produced by Victoria Suan, “Becoming Incurable” is anticipated to be released in early 2019. The Chronic Disease Coalition sat down with Suan to get an inside look into next year’s film. Q: What makes “Becoming Incurable” different from other patient-centered films? I’ve seen many chronic disease films that take a journalistic approach to this subject, but “Becoming Incurable” takes a more personal approach. As the filmmaker, I intended to follow vastly different people battling diverse diseases while uniting their experiences in a profound way. I followed Charis, Sofia, and Leo closely for nine months of filming – Charis battles ankylosing spondyitis, Sofia fights lyme disease and Leo manages dystonia. There are unique and shared themes within their own stories that I explore, which are often overlooked in other films. Uniquely, I include myself in the film to share a short story about Leo, my cousin, before the onset of his disease. My curiosity and empathy for Leo is the driving force for this film and led me to involve others in this journey, so viewers might begin to understand what it means to battle a chronic disease. Q: What was the most rewarding part of the filmmaking process? The most rewarding aspect of making this film was being permitted, not only as a filmmaker but as a person concerned about the chronic illness experience, to “go there” when asking deeply personal questions. I know how strange it must be for Charis, Sofia and Leo to share their lives with me and the camera, but building trust with them was truly rewarding and resulted in the exploration of topics I never thought to include – it added a new dimension to their stories, and for that I’m very grateful. Q: Was there anything that surprised you as you were filming the lives of Charis, Sofia and Leo? Oh, yes. For starters, I did not expect Leo to recover so quickly from surgery. We begin his story a week before surgery when he was at a very low point. It is difficult to watch him go through this period, but months later you recognize that he has made dramatic improvements and is looking healthier. It’s amazing to watch this transformation unfold in the film. As I neared the end of filming Sofia’s story, I learned she was in the emergency room after experiencing new symptoms. I continued filming to understand what was happening with her and to show that chronic disease stories never truly end. With Charis, I was amazed at the time, energy and effort she commits to being involved in marches and political events. Using her own story, she is able give a voice to the chronic disease community. Whether she’s in a wheelchair or using a cane, she sacrifices her health to participate and fight for her community – it’s amazing, heartbreaking and inspiring. Q: Why should people watch this film? “Becoming Incurable” gives a personal look into how chronic illness can affect someone’s life mentally, physically and emotionally. For those who know someone battling a chronic disease or do so themsleves, this film is educational and validates many of the experiences and hurdles patients face. Over 100 million Americans have one or more chronic conditions, according to the Centers for Disease Control and Prevention. This topic is a relevant issue for everyone, but there is a disconnect between recognizing someone has a chronic disease and understanding how it affects the body. This film serves to bridge the gap through powerful storytelling.